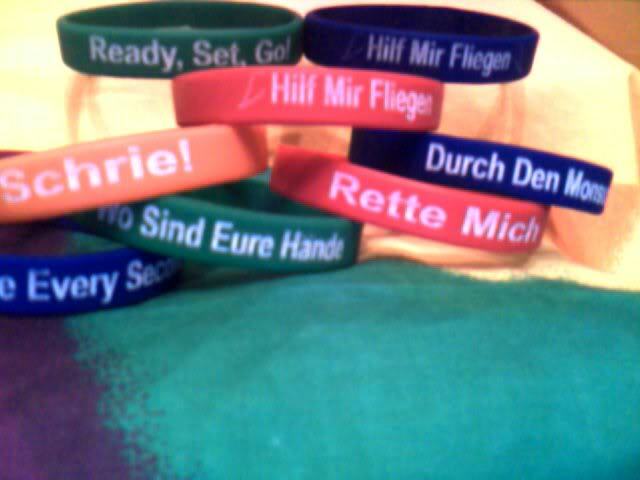 Hey guys, here are some awesome and totally unique Tokio Hotel bracelets. 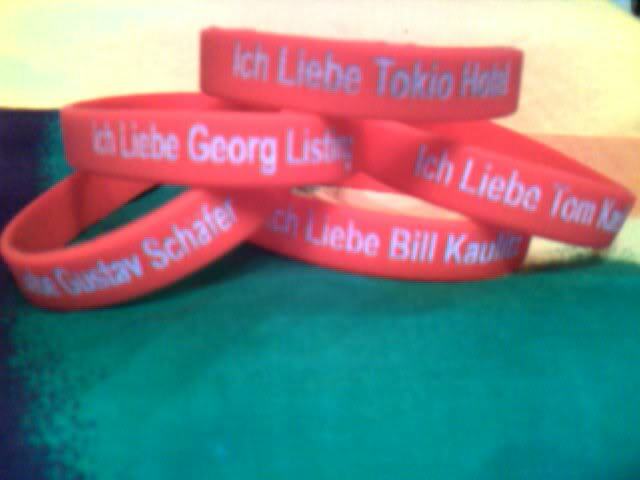 I have "Ich Liebe Bill, Tom, Gustav, Georg" and "Ich Liebe Tokio Hotel" plus I have "Bill Ist By My Side" (in German) and "You Are Not Alone" (in German), and various lyric bracelets. These bands are debossed, the lettering and clipart are recessed into the band. The white you see is ASH from the lasering process which may wear out in a a few weeks or so of normal wearing or can be cleaned out in a minute with a brush. The lettering and everything is permanently etched into the band. Well made! Thank you, all proceeds goes towards radio station and future contests. Dunke! 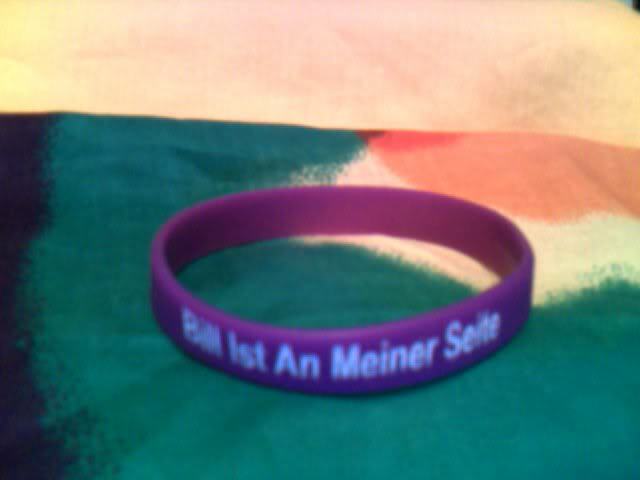 Re: Tokio Hotel Bracelets, Wristbands!